Holly was born in Virginia but frequently moved due to being raised in a military family. She eventually landed in Erie, Pennsylvania for college and decided to stay for 10 years. She received her Masters of Science in Occupational Therapy from Gannon University in Erie, Pennsylvania in 2011. She is certified by NBCOT and licensed by the state of South Carolina. 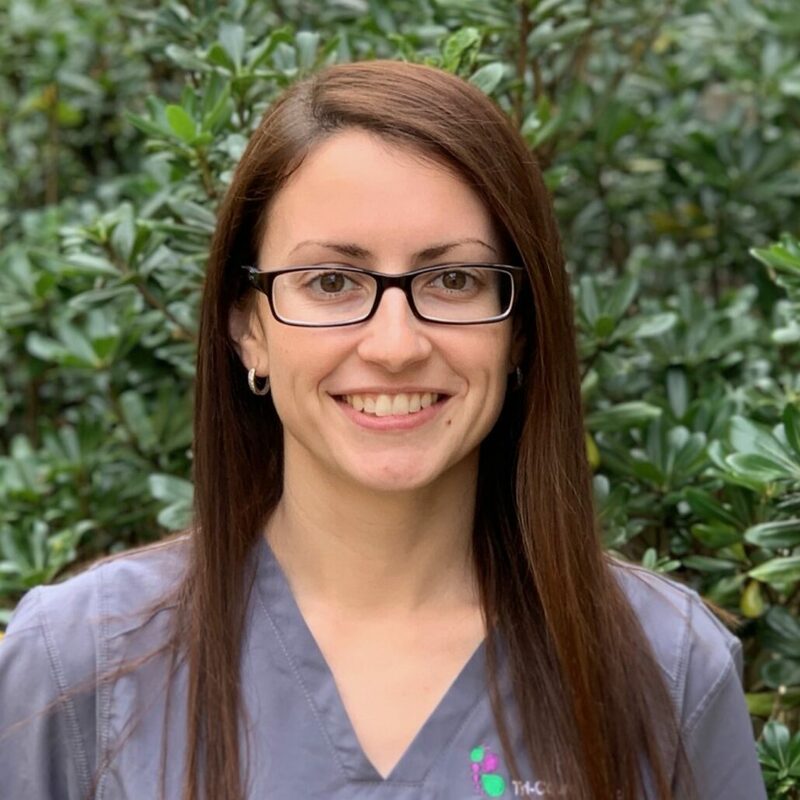 Her pediatric clinical experience includes working at Shriners Hospitals for Children in an outpatient clinic for 5 years in Pennsylvania providing services to children with acute orthopedic needs, motor, cognitive, sensory, and neurological difficulties. Specialty training areas include complex wheelchair seating and equipment, complex feeding, kinesiotaping certified, shoulder complex, and brachial plexus. Her special interest areas also include spinal cord injury, traumatic brain injury and sensory concerns. In her free time, Holly enjoys spending time with her husband, being outside, bike riding and taking her 3 pups on adventures.